AGB GAA extends its’ deepest sympathy to our club member, Joe, and the wider Dunning family (Athlone) on the passing of Joe’s mother, Bridie. Ar dheis Dé go raibh a hanam dílis. Well done to Michelle Scanlon and Fr. Michael for a well organised Lugnaquilla Climb which took place on Saturday the 25th of October. Thanks to all the hikers who took part on the day, raising vital funds for Sri Lankan and Indian Orphanages. A great day was had by all! The AGB Ladies Admins/Coaches night out will be on Saturday the 8th of November in the Harbour Bar at 8pm. Music and Food will be served. Special free draw for all Admins/Coaches. Also on the night we will be having our Ladies Presentation for the player of the year (Minor, Junior and Senior) and club person of the year awards. Presentation will be at 9.30pm sharp. A social night for adult AGB players, managers, admins and members has been organised for Saturday the 15th of November in Shelbourne Park. Depending on numbers, a bus will be provided from Arklow, free of charge, and finger food will also be provided after the races. Tickets are just €20. Contact Ray Menton, 085 1642221, or Mick Healy, 087 2363603, to book your place and for more information. Race Night Info from Wicklow County Board at www.arklowgaa.com. Shelbourne Park Info at www.igb.ie. The U10 boys put in two games in the Castletown indoor tournament on Saturday the 25th. They played a cracking tight game against Kilanerin in the first game and in the second against Carnew the lads ran out of steam. The Lads are out in their last game of the season next Saturday the 1st of November. Well done to all the boys who took part. Thanks to Castletown for a very enjoyable event. Well done to Paul Gahan (U10s coach) who managed the Shamrocks from Enniscorthy to the Wexford County Intermediate Hurling Championship. Best of luck in the Leinster Championship. 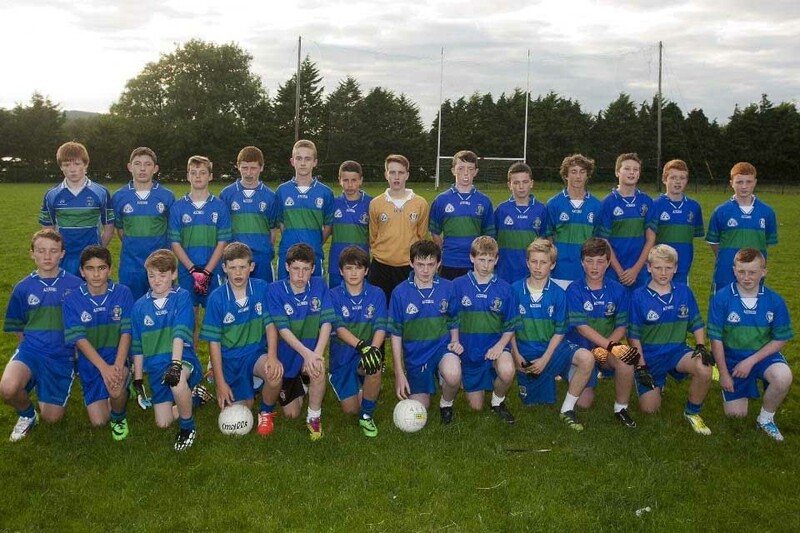 AGB U14 Boys will play Carnew in the Final of the B Championship this Monday, the 27th, at 12pm in Aughrim. Best of luck boys!